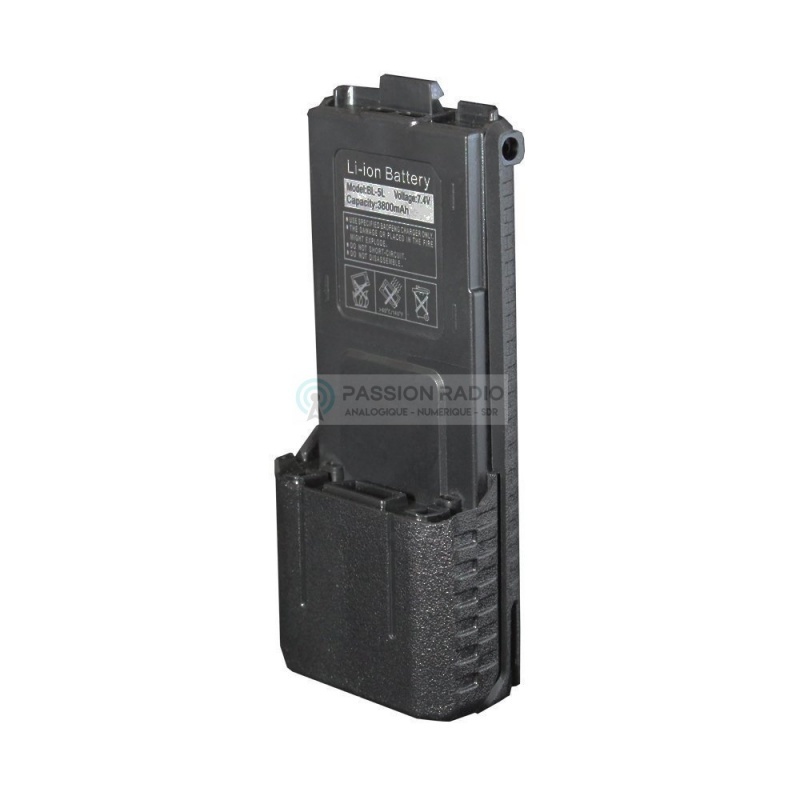 ﻿ Battery extender Baofeng UV-5R, UV-5RA, UV-5RC. High-capacity battery genuine Baofeng, to extend battery life of the walkie-talkie Baofeng UV-5R. This extending battery will double the capacity of the original battery. This high-capacity battery is compatible only with genuine UV-5R version it does not fit on the UV-5RE, Uv-5RA, UV-5Rx series and specific to other distributor. Description: High-capacity battery genuine Baofeng, to extend battery life of the walkie-talkie Baofeng UV-5R. This extending battery will double the capacity of the original battery. Battery Type: Li-ion Battery Capacity: 3800mAh Voltage: 7.4 V Talk time: 20 to 24 hours This high-capacity battery is compatible only with genuine UV-5R version it does not fit on the UV-5RE, Uv-5RA, UV-5Rx series and specific to other distributor.